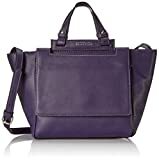 Carry your belongings with ease in the 3468 Blockade Satchel bag from Kenneth Cole Reaction. Made of quality Synthetic materials, this will keep your essentials on-hand with great style. You Too Can Be A Pro In Online Designer Bag Shopping!